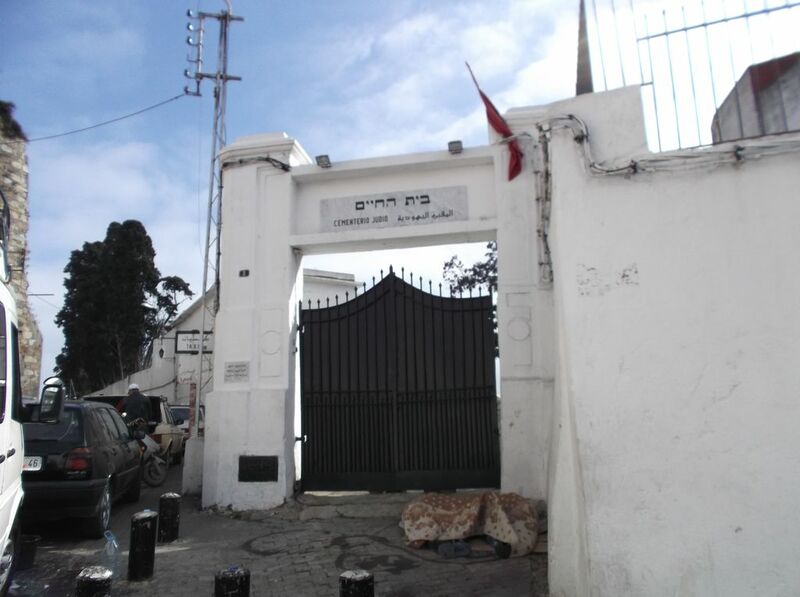 A synagogue in Tangier. This is the only one I could find from what my phone said on Google maps. It looks like a normal house, as I think its now just someone’s home. There was a (I think) a Muslim prayer carpet hung over one of the windows. There are no signs of any candelabra or 6 pointed star or obvious religious icons. I’m guessing that when nearly all the Jewish community left Tangier, they took all the most important religious articles with them. The cemetery. I didn’t spend very long here enough to find it was locked, I got badgered by a beggar who wouldn’t leave me along and insisted on being my tour guide or sell me Marijuana. The blanket in the picture is covering a homeless person. The Hebrew inscription is בית החיים (Beit H’Chaim), House of Life. Odd for a place like this, but its probably meant to be celebrating remembering the life of the deceased person I think. Notice the bit that says Cemetario Judio? This is Spanish. Older Moroccans speak Spanish, but younger people just know French and Arabic, maybe some English. Note, the actual name Morocco is Spanish derived, the official Arabic word is Maghreb, and the French word is Maroc. What I wanted to know, is how many practicing Jews still live in Morocco and what is their relationship like the Muslim majority like? What’s it like with the Jewish holidays in full swing compared to Israel or anywhere else? What about the Jews that adopted Christianity, what happened to them? Over the course of my travels I got to find out some fascinating things.